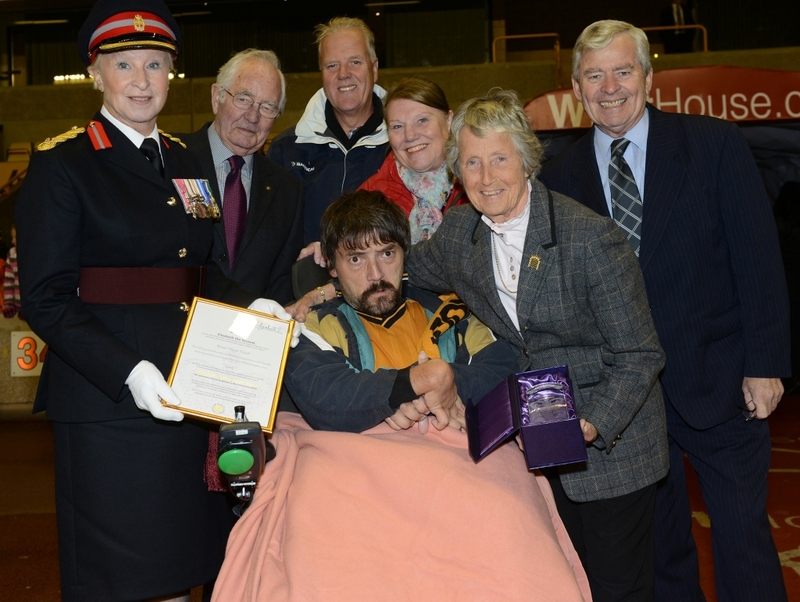 Wolves’ Vice President Baroness Rachael Heyhoe-Flint was joined on Tuesday night​ by Major Sylvia Parkin, Deputy Lieutenant for West Midlands, to make a special half-time presentation to POWER PLEAS of The Queen’s Award for Voluntary Service. POWER PLEAS Chairman Keith Berry says, "We feel so privileged to have been able to share the presentation of this Award with the fans who have made a major contribution to POWER PLEAS. "We are grateful to the members of Tettenhall Rotary Club who have shaken the collecting buckets at our annual event. "Special thanks to all the personnel at Wolverhampton Wanderers Football Club, whose decisions and actions have made this happen. We thank Wolves Aid and the Wolves Community Trust for the support given to this Charity over a 20 year period. "Finally to Baroness Rachael Heyhoe-Flint who forged the initial links between the groups and to Major Sylvia Parkin for her role in the assessment and adjudication process that came to fruition last night (Tuesday 21st) at such a memorable occasion."